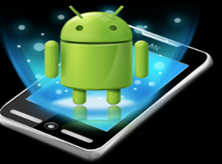 Following are the few tips that will help you in working with you Android Smartphone,follow each tip correctly. Deep press for some time on the text that you want to copy/cut , selection mark will open up for you to select your text , after selecting just press on the selected area and it will be copied to clip board. Paste copied text anywhere you want by selecting an empty space and press down cut/paste options will pop up. As by default when you press on your text boxes the Android Keyboard pop up, if it’s annoying you , you are using key pads instead of on screen keypad just press the keyboard and swipe downwards it will vanish from screen. Just touch the upper-left corner on the screen to see date and time. Swipe down on the top of your home screen to gain access to Wi-Fi, Bluetooth and other settings. On the left side of your key board there will be a dot sign just deep press that button and special character box will pop up.